Tailor this holiday to your requirements. Talk to our team about available upgrades and changes. 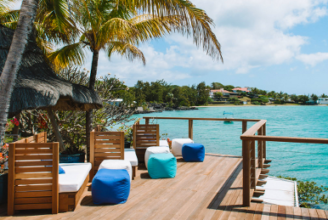 Madagascar, Mauritius & Seychelles Honeymoon offers the best of Madagascar with beach time in Mauritius and Seychelles. In Madagascar you will be discovering national parks with unique wildlife, stunning landscape, and diverse cultures as you journey through varied landscape from the highlands to the west coast. You will enjoy walking in the breathtaking varied scenery, spotting nocturnal animals in the night walks, meeting more than 10 Malagasy tribes along the way and understanding the conservation in practice. Finally enjoy the pristine white powdery beaches of Mauritius and Seychelles. You will have your own personal driver guide with 4×4, so you can experience Madagascar at your own pace & relax in Mauritius and Seychelles in this honeymoon. 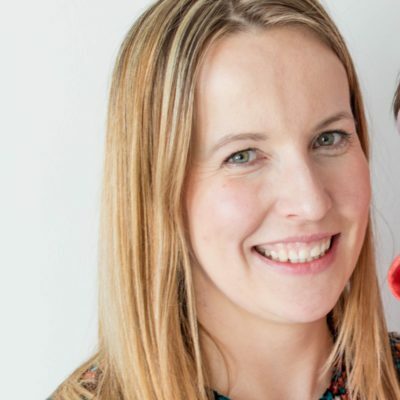 This tour can be fully personalised and upgrades are available. Tailor-made holidays designed to suit your preferences. Return economy flights from London/Manchester/Birmingham/Edinburgh /Dublin. Contact us for flights quotation from different countries. Today you will start your Madagascar adventure by flying to Antananarivo’s Ivato International Airport. ‘’Manao ahoana’’ & ‘’Salama’’ Welcome to tropical paradise. You will be welcomed & greeted by your guide or representative on arrival at Antananarivo Ivato International Airport. 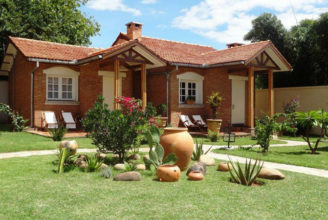 You will be transferred to your hotel in Antananarivo. The travel time will be approximately 45 minutes to 1 hour depending on the road traffic. The Pavillon de l’Emyrne totally reveals the soul of its owner, who put all her feeling and energy to rehabilitate this establishment. 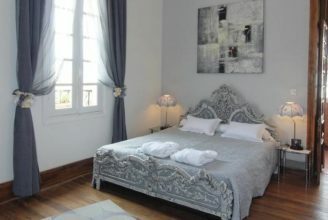 Restored old furniture and antiques, selected from the capital of Antananarivo, are combined in an extraordinary and unique atmosphere. After an early breakfast you will travel to Antsirabe, the travel time will be approximately 3 hours. Antsirabe is the third largest city in Madagascar situated in the high altitude (about 1,500m). The cool temperatures in the high altitude are the reason why the Norwegian Missionaries chose this city in 1872. Antsirabe is the home of one of the award winning beers in Madagascar THB (Three Horses Beer). Its name means “where there is salt” honouring the large number of hot springs the town has, a fact that has given the city the nickname of “Malagasy Vichy”. The thermal baths had been long appreciated for their curative effects by the local population when French colonists decided to locate a thermal bath here in the 19th century. Today you will take a pousse-pousse rickshaw tour of Antsirabe to discover this interesting city mixed with architectural styles of the colonial and evangelical past. In the European district, French cottage-style houses are built next to Scandinavian villas with English style gardens. The tree-lined avenues always give some freshness whenever the sun is too bright. 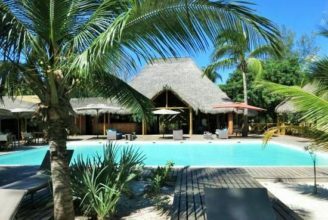 Couleur Café is a welcoming hotel where you can experience comfort and Malagasy charm. Today you will be visiting the emerald green Lake Tritriva, one of two volcanic lakes with legendary tales. The water level drops in the rainy season and rises in the dry season. Debris from the lake can be found down in a valley below, supporting a theory of existing underground channels. Lake Tritriva is situated near the village of Betafo. It is a typical highland village with red houses with red tiled roofs. 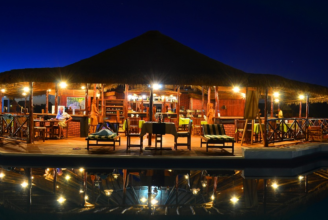 Princess Tsiribihina is a welcoming hotel where you can experience comfort and Malagasy charm. Today you will travel from Miandrivazo to Kirindy in the west. The west of Madagascar is known for its dry climate and deciduous forests as well as natural wonders. Morondava was the centre of the once powerful Sakalava Kingdom and today is a thriving rice growing area. Kirindy is situated 50 kilometres northeast of the town of Morondava, it is a privately managed forest by a Swiss NGO dedicated to selective and sustainable logging (Centre de Formation Professionelle Forestière). At Kirindy Reserve you will take a walk to spot the nocturnal wildlife around 6pm as it offers the best wildlife spotting experience including Giant jumping rat, lemurs, chameleons and Fossa. You will be back for dinner around 8pm. It is a great spot if you are an avid birdwatcher as the nearby Bedo Lake holds 35 species of water bird including the endangered Madagascar teal, Madagascar plover, Madagascar pond heron, and migratory greater and lesser flamingos, as well as big-headed turtles. Today you will do a day walk at Kirindy. Kirindy comprises of one of the most outstanding and threatened wildlife habitats in Madagascar: the dry deciduous forest, whose extension has been reduced to 3 percent of their original extent. Dominated by majestic baobab trees and a forest canopy of 14 m altitude, this protected area of approximately 100 square kilometres is the only place where the world’s smallest known primate, the giant jumping rat, occurs. This animal can hop like a miniature kangaroo but is also seen walking on all four limbs. Kirindy is the best place in Madagascar to observe Fossas, especially during the mating time between October and December. It is also home to seven species of lemur. The most common are the common brown lemurs and the Verreaux’s sifakas. The remaining species are nocturnal: the rare Coquerel’s giant mouse lemur and pygmy mouse-lemur, fork-crowned lemur, Gray mouse lemur, western fattailed dwarf lemur and red-tailed sportive lemur. Several bats, tenrecs, mongooses and rodents complete the mammal population. 40 birds, 50 reptile and 15 amphibian species are also found in this magnificent forest. You will then travel to Bekopaka and en route you will try the best Malagasy food in Belo’s “Mad Zebu” Restaurant. Your total travel time to Bekopaka will be approximately 6-8 hours. Here you can appreciate one of the most impressive and unique natural sceneries in the world. After an early breakfast you will be trekking the Tsingy Bemaraha National Park or Grand Tsingy. It is listed as a UNESCO World Heritage Site. This is one of the most spectacular natural landscapes in the world. An extensive area of limestone massif has been eroded into impressive karst pinnacles. This geological wonder is a monument of karst limestone that comprises karstic landscapes and limestone uplands cut into impressive ‘tsingy’ peaks and a ‘forest’ of limestone needles, the spectacular canyon of the Manambolo River, rolling hills and high peaks. 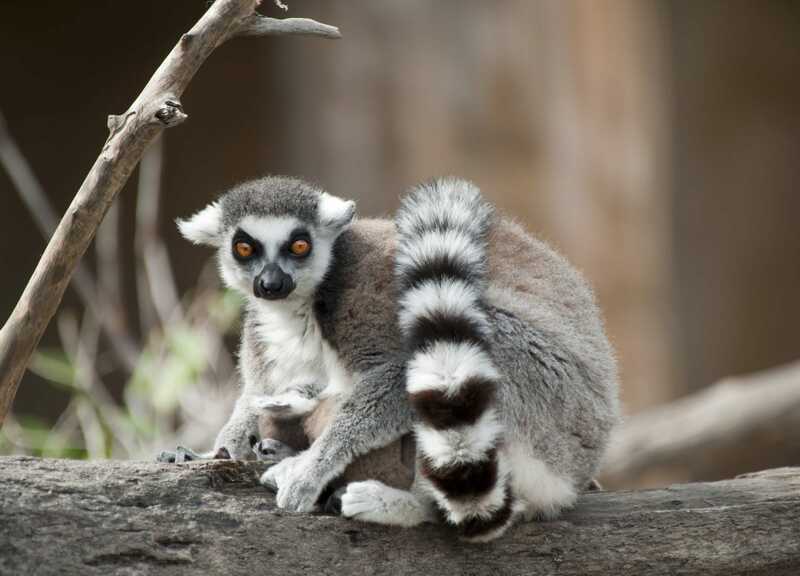 The undisturbed forests, lakes and mangrove swamps are the habitat for rare and endangered lemurs. You can trek the soft circuit with your guide. Tsingy Bemaraha is a treasure trove for nature lovers with a high rate of endemism and diversity. The scientists estimate that the general endemism of this park is 86.7% and the ecoregional one is 47%. 11 species of lemurs can be found here including Deken’s Shifakas, red-fronted brown lemur, Cleese’s woolly lemur and more. Five families of bats and 103 species of birds can be spotted. The index of the reptiles and amphibians is as large, as Bemaraha possesses 34 species that are all endemic. These are just a first taste of what can be discovered on this unique island. After lunch you will trek the small Tsingy. Your guide will advise you about the different types of circuit. In the morning you will take a pirogue trip on the Manambolo River gorge. This river marks the entry way to the Tsingy. Crossing of the Manambolo River by dugout canoe showcases an array of landscapes, gorges and canyons. You will visit the caves where you can look out for the fish eagles, waterfowl, Humblot’s herons and purple herons. After you will travel to Belo en route to Morondava’s “Alley of Baobabs or Avenue of the Baobabs’’. We will have lunch in Belo and continue our journey to the avenue of Baobabs. Travel time will be approximately 8 hours. “Alley of Baobabs or Avenue of the Baobabs’’ is one of the Madagascar’s picture post card images. Baobabs (Grandidiers) are usually solitary trees, standing tall and proud in the midst of empty spaces. Yet in Baobab Alley, they cluster together forming an avenue of columns that border the dirty road. The Baobabs are tall trees with its massive trucks, crooked branches and furry fruit. Baobabs have adapted to the dry and hostile environment. The secret of the baobab’s success in surviving in harsh environments and the reason for its massive trunk is that it has little wood fibre but a large water storage capacity. Each tree can hold up to 300 litres of water, enabling it to live through long periods without rain. The life-cycle of these unique natural oddities is as impressive as their bulk – most live over 500 years. It’s an ideal place to relax or from which to explore the Tsingy du Bemaraha. Today you will take a flight to the capital of Antananarivo. Flight time is approximately an hour to Tana. 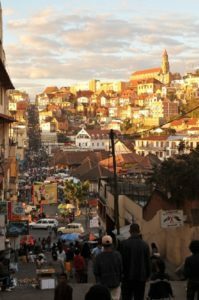 Antananarivo ‘City of Thousand Warriors‘ is the capital situated 1500 metres above sea level with a pleasant cool climate. It is known as ‘Tana’ by locals and it offers rich cultural and historical sites of the Merina people. After lunch you will explore the city in the upper town (“La Haute ville”), where you can find Palaces (the Queen’s Palace, the ancient Prime Minister Rainilaiarivony Palace and the ancient Justice Palace), cathedrals and the residential area of (mostly) ancient noblemen families. From here, visitors enjoy a pleasant perspective of the city below far away from the bustling downtown. This is a great place to purchase last-minute souvenirs. In the evening, witness the best sunset with Sundowner drinks at Lokanga. It is the best place to say “cheers” to a great trip around Madagascar with a glass of wine, a beautiful view of Antananarivo and to look back at the great memories you have made. 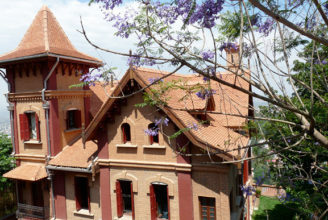 The hotel is perched on a hill overlooking part of the capital city of Antananarivo. In the morning if you like you can do shopping to buy souvenirs or explore the city. Depending on your flight time you will travel to the airport to fly to Mauritius. Travel to the airport takes about an hour depending on the traffic. representative and transferred to your hotel. This boutique hotel is the ideal address for an escape for happy moments together. 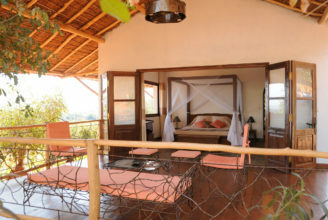 It is an adult exclusive hotel for friends, couples and honeymooners thus guaranteeing a peaceful and tranquil holiday. 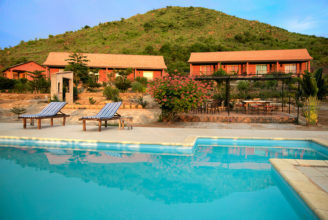 Paradise Cove Boutique Hotel offers a unique and innovative concept to its guests: you and me moments. This boutique hotel is the ideal address for an escape for happy moments together. 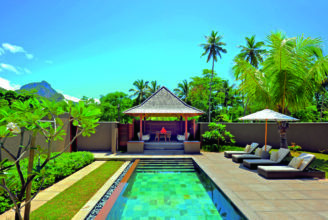 It is an adult exclusive perfect for honeymooners thus guaranteeing a peaceful and tranquil holiday. You will be transferred to the airport for your flight to Seychelles. Revive mind, body and soul in a natural 296-acre park oﬀering that rarest, most precious commodity: space. Dazzling, vibrant beauty. Unspoiled beaches. Tropically verdant and peaceful. Endless options for sports and activities will please those who enjoy a more dynamic break. abundant with lush palms and glorious beach abound. Enjoy the untouched and unspoiled beauty of Seychelles. Today you will be transferred to Mahe airport for your flight back home. Is this your dream holiday? Or maybe you would like to make few changes? If so, then we can tailor it especially to your interests and requirements. Contact us to start creating your perfect holiday. 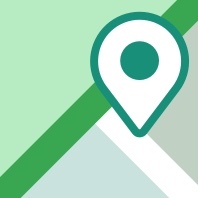 Get in touch with us and one of our travel specialists will be able to talk you through our process and your options. Begin your journey today.